Find creepy Halloween haunted houses in South Carolina this October 2018. Funtober has a complete list of local haunted houses, haunted hayrides, haunted trails, scream parks and more Halloween entertainment. Expect to find lots of zombies, witches, vampires, and creatures roaming around the South Carolina woods. Haunted attractions feature Hollywood type set designs, air blasters, live actors, and spectacular costumes and makeup. You will be frightened so plan a night out with your friends for some scary entertainment. Do you run a haunted house in the United States? More than 500,000 people came to Funtober last year looking for a haunted attraction to attend in October. Please see our advertising page or contact us for more information. The fun begin on October 6th. An 8000 square foot haunted attraction featuring 40 live actors. Help defend Bloody Springs from the Zombie Apocalypse. Buried in our graveyard are zombies. Experience Dark Maze, Killbilly Swamp, rat infested sewer, psycho, and insane asylum. Tickets are $20 to go through all 4 main attractions. Parking is free. Fear Farm is open every Friday and Saturday night plus Halloween. Doors open at 7 pm until after 11:30 pm. Event opens Friday night October 12th. Doors open at 7:30 pm and the ticket office closes at 11 pm. Tickets are $15 on Friday and Saturday nights through Halloween night. Are you ready to experience 13 rooms and 9 nights of Fright? All proceeds support local charities. Hall of Horrors opening night is October 12th. A haunted house featuring 3000 square feet of pure mechanical mayhem. Tickets are $10 for Human Stockyards and $25 for the Excape Room experience. What are the top secret details of Xperiment13? The patients have been evacuated and the place is quarantined. The haunt also has special blackout nights. See webside for details. Generally open every Friday and Saturday nights from 8 pm to midnight plus Thursday and Sunday before Halloween. Enjoy opening night on September 14th. It takes about one hour to go through Kreepy Hollow’s three main attractions Zombie Breakout, Kreepy’s Haunted House, and Keepers Bus Ride. Tickets are $20 to experience clown tunnel, disfigured hillbillies, the two mile scary hayride, and haunted house. The ticket booth opens at 7 pm. Parking is free and there are two concession stands onsite. Open Friday and Saturday nights in September and Thursday through Sunday nights in October plus some other dates. See website for details. Nightmare is open daily starting at noon. Myrtle Beach’s darkest haunted attraction since 1989. Nightmare Haunted House is usually open 7 days a week all year. Call 843-626-0022 for details on the monthly dates and attractions. This year’s theme is Zombie Zone. Tickets are $10. Back for their 18th season. Walk through the haunted trail into a bone chilling haunt. Tortured souls are waiting for their revenge. The walk takes about 35 minutes. Doors open at dusk. Call 864-809-8115 for more 2018 information or check their web page. Attractions runs Friday and Saturday nights from September 28th through October. Also some added nights Halloween week. The season kicks off on September 21st. Scream Acres has been open for more than 10 years. Tickets are $15. The haunted house is open dark to 1 am every Friday and Saturday or Sunday until 10 pm. Leave your chainsaw at home as they have plenty in use. Expect to scream. It runs every Friday and Saturday from late September and every Friday through Sunday nights in October. Sorry folks this attraction has closed. Enjoy the fun beginning on October 5th. Nightmare is back for the 2018 season with lots of new scares. Tickets are $15 most nights. Attraction runs every Friday, Saturday, and Sunday nights plus Halloween in October. Doors open at 7:30 pm. This is an outdoor attractions featuring blood and lots of it. Fear and fright are not an option. Sorry folks The Boneyard is closed for 2018. They expect to return for 2019. Attraction opens on September 29th. Doors open at 7 pm and close at 11 pm on Friday and Saturday or 10 pm on other nights. Concessions are available and parking is $1. 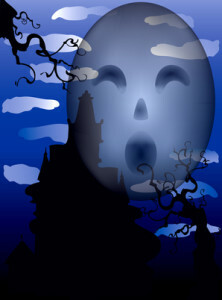 There are two haunts named Midnite Hill and The Forest. Some of the scenes are PSyko Sylum, Camp Crystal Lake, Santimazium, The Butcher, The Home and Underground. Treedines have been operating for over 25 years. Expect it to be scary and fun. Open every Friday and Saturday nights through Halloween. This attraction opens on September 29th. “Wompus” is a big 12 foot beast roaming the South Carolina woods. Tickets prices vary so save money and get both the walking trail and hayride for $30. Each haunt takes about 30 minutes to experience. Doors open at dusk and close at 2 am on Friday and Saturday nights. Attractions run every Friday and Saturday nights in October. Atlanta has some great haunted houses. So does North Carolina. Don’t forget to consider visiting them. Have you experienced one of these haunted attractions? I would love to hear what you thought. Did you have a great experience? Was it worth the money? Would you recommend it to our readers? Any tips to maximize your experience? I’ll gladly publish what you send me and give you a great big hug. thanks Cindy. We appreciate your jew joke.